Please join us to hand in the petition calling for CRT and Wadworths to re-instate the boaters’ rubbish bins at the Bridge Inn. Join us outside St Margaret’s Hall, Bradford on Avon BA15 1DE, on Wednesday 21st November 2018 at 5.30pm (the CRT Users meeting is from 6pm to 8pm). We plan to hand in the petition in two stages. The first stage will be to present it to Richard Thomas, the new CRT regional director for Wales and the South West, at the Kennet and Avon Canal User Group Forum on Wednesday 21st November 2018. We will update you with news about stage 2 of handing this in when we know the date. We look forward to seeing you there. Thank you. Complaints to both Wadworths and CRT about the removal of the boaters’ rubbish bins at the Bridge Inn, Horton have had negative responses. Further to my reply on the 3rd August, I can now come back to you with a clear picture of the issues having investigated this with the team and also consulted in the main over the lease that we granted to CRT regarding the area of land in question. 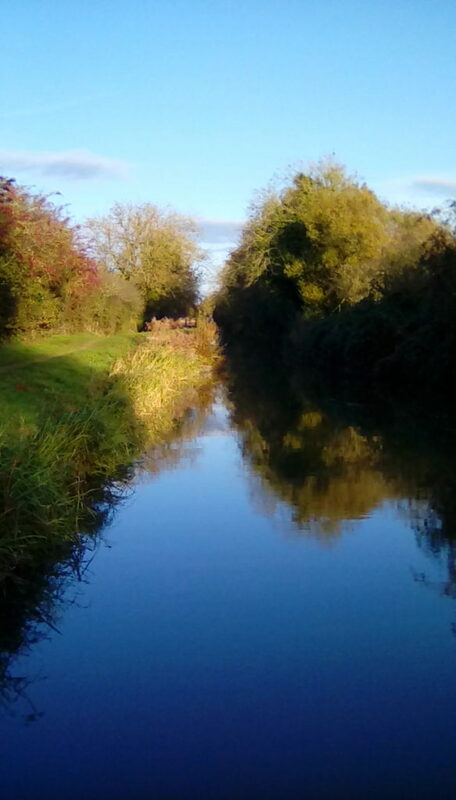 On the 13th November 2002, Wadworth granted a lease to the Canal and River Trust (CRT) and this is registered under leasehold title WT216300. This lease is still retained within the ownership of the CRT and provides for vehicular and pedestrian access to the temporary moorings alongside the Bridge Inn. These are the only uses permitted under the lease. As Landlord, Wadworth are obliged to maintain the car park surface to a reasonable standard and use reasonable endeavours to ensure that the premises are kept available for the use of the Tenant (CRT). There is no right for the Tenant to use bins or locate bins on the areas in question and in particular there is an obligation on the the provision of water either. There is clearly an access provision to the area in question. Some time ago, it became custom and practice for boaters to use the waste disposal facilities on site at the Bridge Inn. Of particular note, at one point, we gave CRT permission to provide additional waste disposal facilities on our land and also access rights to use these facilities notwithstanding what the lease says. The practicalities of this however are that unfortunately this is a situation that has become unmanageable (mostly so over the last two years or so). The reason being is that the Bridge Inn appears to have been more widely used as an opportunity to leave larger amounts of waste on site. I am also told that the issue has become even more acute given that there are now increased restrictions on members of the public using the nearby council recycling centre. Subsequently, Matt Smith is now finding that members of the public are fly-tipping which potentially could lead to significant Environmental Health problems. This has put some considerable strain and cost onto Matt Smith in the operation of his business. In subsequent conversations with CRT, we have therefore advised CRT to remove their waste bins from the pub as this situation was becoming untenable and the discretionary effort by Matt Smith to provide a service amenity was becoming abused more widely. I have seen and heard the feedback about this which is indeed unfortunate. The change however is necessary as it is not right that Matt Smith has to foot the bill for waste disposal clearance on the site for rubbish other than that which his business generates or is more than a reasonable amount of waste from temporary moored boaters. What I do appreciate is that the fly tipping issue is potentially an issue from a wider population locally. To this end, it was indeed right that gates were erected at the Bridge to discourage others from accessing the site other than pub customers or temporary moorers who need access to the rear land to park cars and access their boats. There is no breach of right of access as the gates are not locked and there remains a managed, more controlled, passage through. In my view, the collective goodwill of Wadworth and Matt Smith and his team has unfortunately been taken advantage of over time. There is additional burden being placed on the pub team with additional waste, risk, cost and inconvenience. Our team are in contact with CRT as it is clear to me that perhaps boaters have been put in a difficult predicament versus their original expectations from that which was advertised. I do further understand however that CRT have canal side waste disposal facilities a short distance away from the Bridge and so this amenity does still exist not far away for boaters. I have also seen and heard views that Matt will turn off the water supply that is available for the temporary moorings. This will not be the case. Indeed, to provide an even better solution, CRT are looking at installing their own water supply which will remove any complications of bill payment and meter reading issues linked with the pub. The Bridge Inn is a destination type pub operation. The vast majority of customers drive to the pub and it is imperative therefore that the external appearance of the pub is kept to a high standard including the car park and surrounding areas. We also cannot also lose sight of the fact that Matt Smith is a self-employed business operator and is dependent on attracting trade from the local area in addition to offering a convenient stopping off point for temporary boat users and can and should have the right to decide how he operates his business in the face of the adversity and strain that this situation has caused him and his team. Thank you once again for taking the time to contact me directly and I trust this clarifies the situation. I am writing in response to your letter in relation to the closure of the Horton Bin compound. I can confirm that we have treated your letter as a complaint in line with Level One of our complaints process. The Trust have been working hard for several years to increase the facilities available to boaters on the K&A, and we would welcome suggestions as to other locations where facilities can be installed. However, our ability to install new facilities requires the permission of relevant landowners, and sites also need to be accessible for service and maintenance. The potential waterpoint in Reading was recently reviewed and found to be outside of the Trust’s navigational channel. I have contacted the Environment Agency regarding this facility and asked if it can be reinstated and await an answer. I enclose an updated copy of details of all Customer Service facilities on the K&A Waterway The Trust takes the health and wellbeing of the boating community extremely seriously across all the 2000 miles of waterway it is responsible for. A nationwide review of customer facilities is to be commissioned which will help inform options to mitigate the situation at Horton Bridge and other locations. In relation to the closure of the facilities at the Bridge Inn, the landlord of the Bridge Inn has complained on several occasions that the bins are being abused. Sadly, we have also lost facilities in Hungerford and Honey street when the land owners withdrew permission for bins to be stored on their land, largely due to the abuse of facilities. A meeting was held late last year at the Bridge Inn and several Trust staff attended (Mark Evans (Waterway Manager), Melanie Grant (Business Boating Property Surveyor), Maria Osborne (Mooring Sales Manager) in an attempt to resolve the complaints from the Landlord. Whilst things improved for a short period, at the start of the boating season the brewery complained again and later informed us that the bins would have to be removed. The Trust has made enquiries with Wadworth Brewery, as to whether we could erect a bin compound on Trust land at the end of the site, with permission for access over the pub’s land in order to service this compound, but this request was rejected. The trusts agreement with the Brewery specifically prohibits the keeping of rubbish or any receptacle for rubbish on the land. We have no agreement in place for access over the Brewery’s land to our land by vehicle to service any such facilities. Notices were erected directing users of the Horton compound to the next available rubbish points. These notices specifically excluded the bins on Devizes wharf, as they are well used at present and as you have pointed out, of reduced capacity due to the available space outside They are unlikely to cope with an increase in rubbish. As it is not possible to increase capacity here, boaters are being directed to use the rubbish point outside the Waterway office in Devizes. Access is via the normal Trust key. There is vehicular access available to the rubbish point down the lane from Prison Bridge. I can assure you that all the facilities at this location are available to all licence payers, not just those on the moorings. There are no signs saying for permanent moorings only. The moorings at Horton have been sold as “basic” moorings. As is set out on the Waterside Mooring Website, basic moorings sites are usually located in rural areas with no (or minimal) facilities provided. Sites are provided with either a hard or soft edge, a location sign and mooring rings/cleats. Customers at these sites are required to cruise to the nearest sanitary facilities, which can be up to 30 minutes away. Similarly, local amenities may be some distance by foot or by car. Basic moorings predominantly provide for leisure use only, i.e. customers are not allowed to use their boat as their primary residence. These sites will typically be visited annually by a member of the moorings team. The Trust will be installing a separate water supply to the waterpoint on the moorings at Horton, which will resolve any difficulties in maintaining a permanent supply. We are currently waiting for a quote from Wessex Water. The Trust supports the idea of dialogue between the stakeholders you mention. You’ll be aware that the local Waterway team have consulted widely with interested parties on a variety of issues in the last two years, most recently the Visitor Mooring Review. After receiving my response to your complaint, I hope that you feel I have understood and addressed all the concerns you have raised. However, if you do remain unsatisfied, you can find more information about the Trust’s complaints procedure in the enclosed leaflet. As stated we would welcome your suggestions where other facilities might be possible on the K&A, which would meet the constraints mentioned above. This entry was posted on Friday, November 16th, 2018 at 5:21 pm	and is filed under News. You can follow any responses to this entry through the RSS 2.0 feed. You can skip to the end and leave a response. Pinging is currently not allowed.